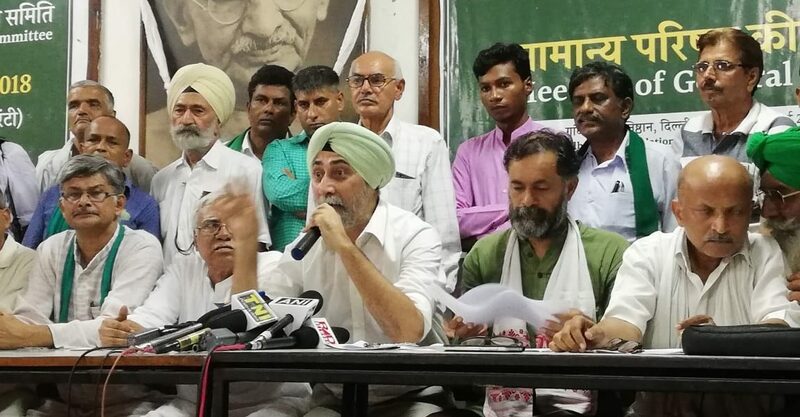 Accusing the government of having deceived farmers by not fulfilling its MSP promise, and yet claiming that it has, the AIKSCC has announced a series of agitations over the next four months. New Delhi: The All India Kisan Sangharsh Coordination Committee (AIKSCC), a coalition of over 180 farmer organisations across the country, has termed the announced hike in minimum support prices (MSP) a ‘historic betrayal’, and not a ‘historic increase’ as the Narendra Modi government has claimed. The group has announced a series of agitations over the next four months to express its dissatisfaction. Calling the government’s claim the ‘MSP dhokha of the Modi government’, the AIKSCC plans to put forward two bills in the monsoon session of parliament beginning on July 18 – the Farmers Freedom From Indebtedness Bill and the Farmers Right to Guaranteed Remunerative Minimum Support Price For Agricultural Commodities Bill. Termed the Kisan Mukti Bills, they will be introduced in parliament as private member’s bills by Raju Shetti, Swabhimani Paksha MP from Maharashtra and K.K. Ragesh, Rajya Sabha MP from the Communist Party of India (Marxist), Kerala. The MSP for eligible crops is declared by the Commission for Agricultural Costs and Prices (CACP). The CACP has three different definitions of productions costs – A2 (actual paid out cost), A2+FL (actual paid out cost plus imputed value of family labour) and C2 (comprehensive cost including imputed rent and interest on owned land and capital). As is evident, C2 > A2+FL > A2. To protest against the government’s ‘betrayal’ and raise public awareness, the AIKSCC has scheduled four agitations in the near future. On July 20, the AIKSCC has planned a black flag demonstration with a march from Mandi House to Parliament Street. The demonstration will also push for passing the Kisan Mukti bills, which have already received support from 21 political parties – including the Congress, Aam Aadmi Party, Samajwadi Party, Bahujan Samaj Party and Shiv Sena, among others – and are scheduled to be heard in parliament on July 20. Following this, on August 9 – the anniversary of the Quit India movement – the AIKSCC will observe ‘Kisan Mukti Divas’ and raise slogans of ‘ghata-mukt kheti, karza-mukt kisan, zehar-mukt bhojan, aatmhatya-mukt Bharat (loss-free farming, debt-free farmers, poison-free food, suicide-free India)’. Between October 8 and October 10, the member organisations of the AIKSCC will organise ‘MSP adhikar andolans’ in mandis across the country to claim MSP on all crops as a right of the farmer. And finally, on November 30, there will be grand ‘Kisan Mukti Kooch’ in Delhi, where farmers from all over the country will surround the city from all sides and demand that their voices be heard. “We saw the impact that the kisan long march had when farmers from only one district, Nasik, marched to Mumbai. Now, farmers from across the country will march to Delhi. Imagine the impact that it would have,” said Yadav. According to the AIKSCC, the procurement rate in crops for which MSPs have been announced is abysmal. Only 28-30% of total wheat was procured and 30-35% of paddy was procured, while for coarse grains and pulses, the procurement rate was less than 1%. “So it’s not only that MSPs need to be increased, but every crop for which MSPs have been announced need to be fully procured,” said Singh. “And we’re not saying that the Congress was any better. All governments till now have been anti-farmer governments. And the BJP is no different,” added Singh. The AIKSCC was formed in late June 2017 after the Mandsaur agitation, during which five farmers lost their lives in police firing. Present at the July 14 working group meeting were representatives from a large number of AIKSCC’s member organisations, including members from the Bharatiya Kisan Majdoor Vikas Sanghatan, All India Kisan Sabha, Akhil Bharatiya Krantikari Sabha, All India Agragami Sabha and Kisan Adhyaksha Morcha. The members unequivocally supported the AIKSCC’s condemnation of the Modi government and put forth their endorsement of the two proposed bills in parliament. 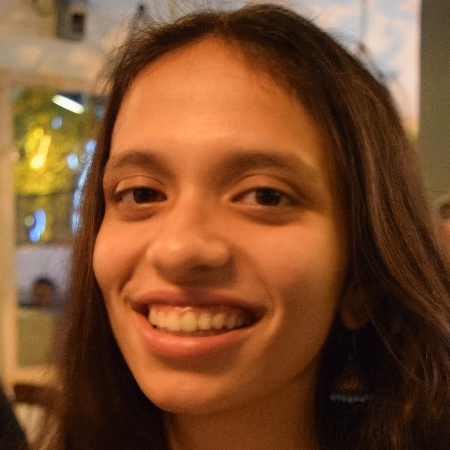 Neha Mehrotra is a student at Ashoka University and an intern at The Wire.